I wanted to share about some writing stuff I'm working on! I've finished another round of revisions on my book, "Defiance" and the wheels started turning. There's so much more with those characters, the minor ones who didn't get their story told. One thing led to another and I believe it will be three. Three. "Defiance" is becoming a trilogy. :) I'm pretty excited about it, though I admit I've only written single novels and one book I wrote has two novels I put into one later on. I wanted to give you a little sneak peek summary of what I'm working on! Her name is Kaela, but they call her 244. She lives at the Center, a secret research facility for others like her. She has since birth. She’s never met her family, never been outside the walls of the Center, never been hugged. Her days are a regimented existence devoid of the most basic human contact. Trent, a boy in the room—cell—behind hers, is her one source of contact beyond the researchers who hold her captive. But he’s not human, and neither is 244. When they learn of another resident’s murder, Trent and 244 plan their escape from the Center, discovering a web of deceit and abuse disguised as scientific research. Unable to leave behind the other residents of the Center to endure the senseless abuse, 244 and Trent create a daring and dangerous plan to destroy it. But if 244 follows through with the plan, she’ll be forced to kill the one person who can answer the questions that have haunted her—who is she and where did she come from? Persephone (Effie) is a siren, mercilessly pursed by the Center. She's deadly and stubborn. Effie is captured by the Center after they have killed everyone she loves. Nothing can stop her hatred. After she escapes with the help of Kaela and Trent, Effie has a chance to start a new life. But she believes her past is too dark. Galen, an extremely rare genie, understands how she feels and tries to break down her walls. He seeks to love the unloved. As the darkness grows, the two grow closer and realize they need each other to stop the evil which surrounds them. Book 3 will be written from the perspective of Kyle, Kaela's brother. Focuses on the friendship with Declan, a seer, we met in the first book. Someone has to die to protect their world, but who is willing to give up everything to protect the Freaks? Book 2 and 3 are pretty rough, but I'm working on "The Damned" right now and whew, Effie is a stubborn character and a challenge to write. But it's a good challenge. The only thing I'm concerned about is the perspective change. I've never really liked books where the perspective changes to several people every other chapter. I'm worried that people won't like that the books change from Kaela's perspective to Effie to Kyle. Would you read a series where the perspective changes in each book? All of the characters will still be there, but the lead character will be different. What are you working on? I would totally read a series where the perspective changes between books. I think it would be more interesting that way. There's a genie in the next one? Squee! You must let me read when you're done. My reading shelf has all manners of pov switches going on. Andre Norton's Trey of Swords is done in three parts ... one of which is first person while the other two are third. She also had characters alternating chapters in several first person story. But on the various books ... I've a very nice series by Jennifer Roberson where the Main Character, and even the pov, changes for each book. I'd no trouble following it. I find it very interesting a person would switch between 1st and 3rd POV in a series because I've been tempted to write the last book in 3rd because it is from a male POV. Thanks for this information! I would read a series like that. I thought about writing one myself but I haven't decided if I want each book to be narrated by one character, or to just have multiple points of view. Your graphics are so cute! I love reading your blog posts. Honestly, I will read a book that changes perspectives, but it becomes confusing for me to switch, and if the characters aren't distinct, sometimes I forget whose perspective I'm reading in. I have that problem too, if I can't tell who the character is - I find it really hard to read multiple POVs in one book. I stopped by this post just because of your Merlin GIF. Love it! Good luck on your trilogy! I wrote a YA and then wrote a sequel and have ideas for more, but didn't bother writing them since that book is now shelved (boo). Lately my ideas have been for stand alones. Lol - thanks Melanie! It is a cool GIF! Stand alones are great too - most of mine are stand alones, but I decided to give a trilogy a try. Okay, my characters won't shut up and I think I can get them to stop after the 3rd book. :) Thanks! Yay to your trilogy and good luck with it. POV switches can be good, very much so, but they can't feel forced and should help the story along. Too many or unnecessary ones ruin the story. Thanks! I agree that the POV can't feel forced and should help the story. I've read books with too many and it is hard to follow the storyline. 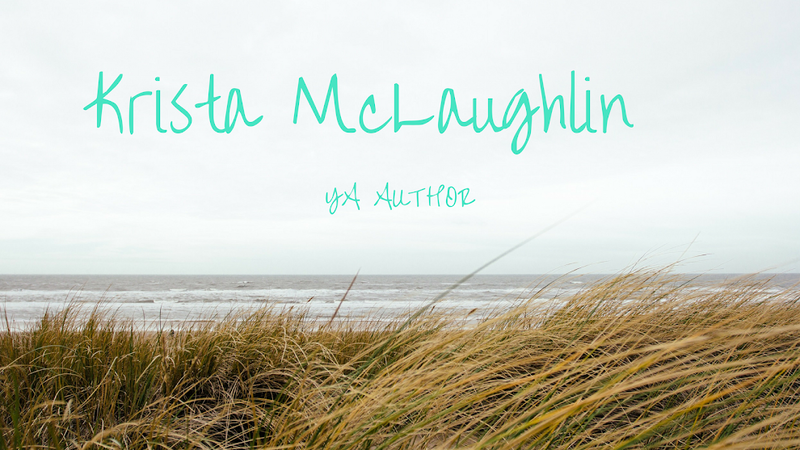 3 Year Blogiversary / GIVEAWAY!